Below is my written Report from my investigation at Bridle Path. After the exploring i conduct some research on bridle path and could not find anything online about it - this grabbed my attention. What does also pay a major part in history and seems to be the only thing still documented about the path is "The People have been fighting The council" to keep bridle path as it is, This is an ongoing fight since the 1800s to present day. For this place it was no war or murder or anything obvious but rights for land. I even had to call upon the help of other researchers Mark & Laura (Paranormal Reason) who came to the same findings as me. Online had nothing, the Hampshire archives had nothing , historic society had no replies and the same with the library. 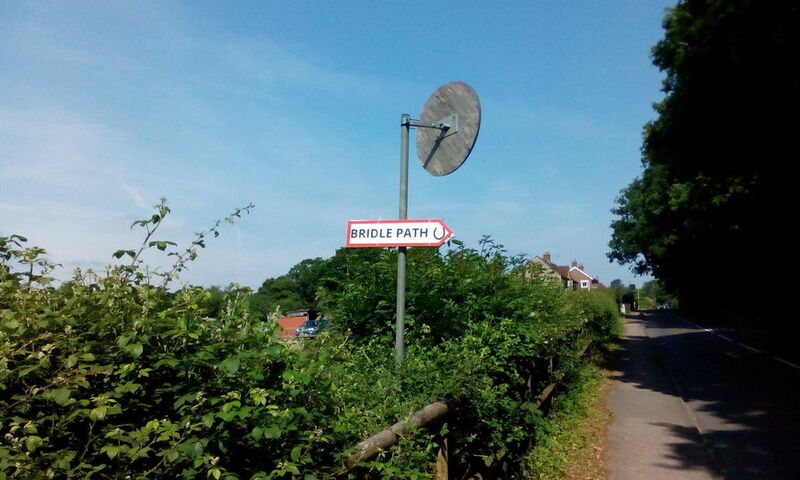 Even when i googlemapped bridle-path there was no trace of it in the correct location. and conducted various EVP Questions....At the time i did not hear anything other than white noise and after 15-20Min's i turned it off. Also i had to reject all EVPs captured (4 EVPs) due to the white noise being too over-powering and the voices were not clear enough. For me personally that was validation that little white noise as possible will manifest better EVPs - this also adds validation to my EVP Theory. After i decided to try another phone app this time ITC - Para-Tek...This rubbish is claimed to be a phone version as the ovilous - which is true they both have 0%credibility. I had my first and best quality sounding EVP …..CAN I BREAK IT ? i think this is residual , a conversation between 2 from the past or future...could be about the ongoing fight for the pathway and past plots or future events. So i could feel the energy, hear movement etc.... I heard a voice DO YOU KNOW HIS NAME ? directly behind me at the time i was not sure what i heard but knew it was a voice. At the time i did think that it was someone (living) behind me saw what i was doing and was making a joke , i ran all the way down the path to debunk it but did not see anyone. After i moved to the last section of the pathway to conclude my investigation and just before the end i felt a solid circular ball hit me on my right lower leg and it felt like a bolt of energy shot inside of me....Now reviewing the experience and situation i think the feel of energy was created by my own emotions from being in a investigation situation. 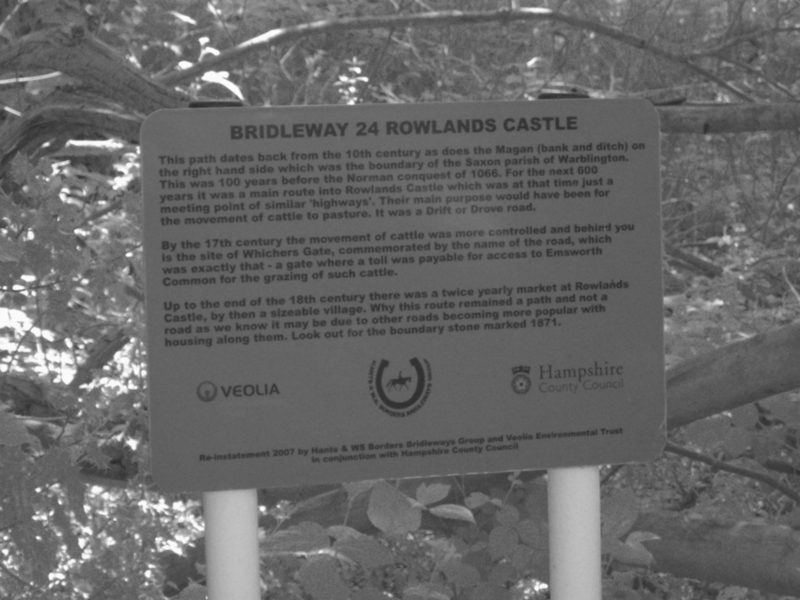 A fellow researcher, Andy, had been undertaking a preliminary field investigation of an ancient bridle path in Hampshire. The path, whilst dating back to the pre-roman period and older, was notable for the apparent lack of documented history. In an effort to explore all avenues, Andy kindly provided us with a set of four images taken of thepath, with no other information provided. The session commenced at 23:23 hrs. Laura saw a girl, approximately 4 – 6 years old, standing on the path looking back to face Laura, with the name ‘Maria’. Laura felt that there were two paths running parallel, going the same way, this one and the other one. She felt that this path branched off into two, where they then ran parallel. Laura advised that there was ‘something’ at the end, at the point where the path split, where the original line of the path continued for a little (very) bit. Laura made the point that she didn’t want to square this extension off, but it was shaped as she drew in diagram 1.
served no purpose. If you were there you would be asking yourself what was the point? Laura immediately drew my attention to an area halfway down the picture, in the clearing on the path (where the indentation can be seen on the right hand side – the phrase that Laura used was ‘where it branches off’). Laura advised that she experienced the usual tightening of her chest and association feelings. Here she picked up on a plane crash, a little bi-plane, with two pilots and it went straight down into the ground, nose down. I asked for clarification if this was nearby, which Laura confirmed was close by. One was a younger man, the other an older man. The younger man was named Edward, with the surname Steadson / Steadman – she was not able to get final confirmation. Both men were killed in the crash. She could also see a woman with a baby in a buggy, associated with the younger man. She was wearing a grey tweed style coat – fleck type, woollen. Laura then advised that she got a tiny glimpse of a badge, on a door on the side of the bi-plane. It was a white circle with a red spot in the middle and, what looks like, in black, a sling shot, with the red in the middle forming the shot. Next Laura picked up something that was nothing to do with the location, but she picked up a young boy, possibly a teenager, but hard to tell his age as he has Down’s Syndrome. She didn’t know why she picked this up. Laura then got the name Eddie, which she assumed was the Edward that she picked up earlier. Something at the edge of that clearing makes Laura feel ‘edgy’. Picked up the surname Matthews, then Joe a couple of seconds later. This was not connected with these names, but there was a body recovered / found / dumped there. I asked if the body was Male / Female. After some thought, Laura advised Female. Laura picked up a Water Mill / Tower. She also got a sudden warm feeling. Whispering heard. People who have been here have heard whispering. Nothing else from the images was picked up. (1) Laura later clarified that the young man with Down’s Syndrome, as she saw it, is associated with someone who visits there now. At the risk of being direct, Laura asked if this young man has a connection with Andy, who took the images. (2) A few minutes after the experiment had ended, Laura informed me that at one point, Eleanor came though (at the time of writing, Queen Eleanor features heavily in a couple of projects that we are working upon. It is unclear at this stage whether this was an optimistic intervention or an actual link to the bridle path). I don't like visiting such places. They are so creepy! I can't stand that. You can share your stories http://writessays.biz here if you want. Its giving the better and effective details. Love this blog. All types blogs and https://www.essayprime.co.uk posts are not helpful for the readers. Here the author is giving good thoughts and suggestions to each and every reader through this article. Hey. I don't get the point, when people play with their lives visiting such scary places like those, for example. Really. Have a look on www.writemyessayontime.org this site.